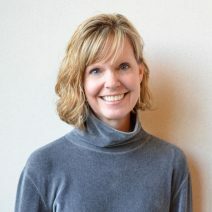 “I am writing to nominate Thomas Effler for the 2012 Curry Distinguished Educator Award. I have worked closely with Tom for the past twenty years, being hired as an Assistant Professor in the graphic design program in the fall of 1991. At that time, Tom was lead faculty of our area and the chair of my search. At our first meeting, I could see he was energetic in his vision for an area which had been poorly understaffed and under supported for several years. Our discipline was also in the midst of great change due to the influence of computer technology. Most faculty members would have been “burned out” from these added pressures, but Tom still had great hopes and plans for his area. He discussed with me rewriting the graphic design curriculum, so that it would keep pace with the quickly changing profession. He offered me a unique opportunity to be a part of his new vision for the area, and to make a difference in how it was shaped. I could see that Tom cared deeply for graphic design and for his students, and that he was eager and willing to give his energy to improve the situation. Since that time, my respect for Tom has continued to grow. I came into the world of academia with little teaching experience and I looked to Tom for guidance and advice, both on matters of teaching and administration. Although he does not envision himself as such, he has been my mentor in many ways. He has encouraged me to grow, to learn, to be challenged, and to make a personal investment in our program and department. Over the years, I have had many of Tom’s former students in my classes, and I have heard many unsolicited positive comments about his teaching style and skills. He has been described as thoughtprovoking, interesting, concerned, challenging, humorous, and talented. His students are well prepared — many times, I have been pleasantly surprised by the amount of information they have retained. I attribute this fact to Tom’s fine teaching. He also produces the most amazing class hand-outs I have ever seen. They are a model for quality design and design education. 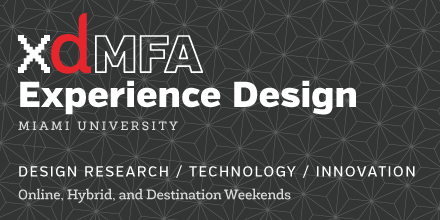 The course Tom has spent the most time developing is Design History and Cultural Contexts. This class began as an honors course some years ago. Tom ran with the concept and has developed it into one of the staples of our curriculum, and a wonderful offering for all SFA students. The course is open to non-majors, and Tom often gets a wide variety of students enrolling in the class. He has the ability to make the course material challenging for those who have a background in design, and understandable for those who do not. He converted all the slide presentations into Powerpoint/Keynote, and has spent a great deal of time and energy gathering images and developing interesting and insightful lectures and activities. Tom and I have worked on several projects together. In 1995, we developed an international summer program that took twenty students to England, Germany, Switzerland, and The Czech Republic to study design history and practice with European faculty. Additionally, we have co-authored three curriculum revisions for the graphic design program. The latest revision has an increased focus on courses which establish a varied and strengthened design education, while allowing for a strong liberal arts background. A lot of time went into the building of this curriculum proposal, but even more energy is required to implement it. Tom is always eager to begin. Tom is not encumbered by ego or preconceived notions about “how things should be,” but is eager to move the program and discipline forward in an innovative and creative fashion. To continue learning and growing we, as faculty, must first admit that there are things we do not currently know and that we need to practice new activities which we are not currently competent in. Instead of being concerned about looking good in the present, we must see the importance of being good in the future. In a field like graphic design that changes daily, it is important that faculty are willingly to say, “I don’t know, but I will find out.” Tom is not only a “life-long learner,” through second hand information, but he updates his skills through first hand experience in design. I respect Tom as a design educator, and also as a fine designer. He has consulted for Swearingen and Osborne Design Associates in Cincinnati, involving a wide range of design needs including identity development. His other freelance activity has included book design. For instance, some years ago, he worked on the book design and production for Essays on Architecture in the Midwest, a collection of critical writings by Robert Benson, Chair of the Department of Architecture and Interior Design. More recently, he was involved with consulting work for a large corporation, Rubicon Technology, including identity and advertisement design for the company. Tom’s teaching has been informed by this professional design research. This experience has kept him up-to-date on current developments in the design profession. Tom has served as the Interim Chair for the Department of Art. 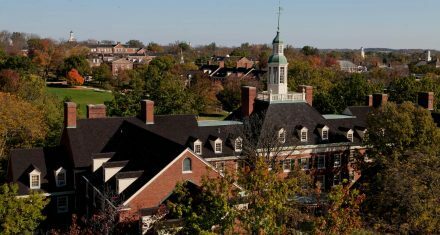 At that time there was a new Dean on board, the implementation of a new technology plan, physical facilities changes, and the search for a permanent Chair, making for an exciting and challenging year. The past two years Tom took on the challenge of becoming the permanent Chair of the Department of Art, during a difficult financial time for the institution and State of Ohio. Tom enjoys new challenges, and has served the department with distinction. Tom is also involved in community service. He has been on the LaSalle High School Board of Trustees and was also the chair of the Instructional Committee, evidence of his concern for education at all levels. He has also been very active in his church through committee and volunteer work, including many graphic design projects. Peg was the Chair of the Department of Art and Professor of Graphic Design at Miami University. She was formerly the Co-director of the Armstrong Institute for Interactive Media Studies and Founding Director of the Miami Design Collaborative.